What Happens to Retirement Accounts Upon the Owner’s Death in North Carolina? We find that many of our clients understand the general rules of how IRAs work for themselves. As the owner, you contribute to the account, and it grows tax-deferred. Once you are 59 ½ or older, you can withdraw from the account without penalty, but any amounts that you withdraw will be taxed as ordinary income. At age 70 ½, the IRS requires you to start taking Required Minimum Distributions. But how are these accounts taxed once they are passed down to your beneficiaries? Your child or beneficiary could opt to withdraw all the funds at once. But that is usually a terrible idea because that makes the entire account immediately taxable! Because the withdrawal happened all at once, it would all be treated as ordinary income on your child’s tax return—meaning that it would likely push them into a much higher income tax bracket and they would owe a HUGE tax amount come April 15th! We’ve seen it happen. People do it all the time—even some beneficiaries we would expect to know better. Gaining access to that much cash is far too tempting. Even worse, many don’t understand the full ramifications of the taxes, so by April 15th when the tax bill is due—the money has already been spent! This may be done intentionally or unintentionally. We’ve seen it happen for a variety of reasons: the beneficiary just not knowing any better; the beneficiary making poor financial decisions; the beneficiary listening to a “well-intentioned” person at the bank trying to help them claim the account as soon as possible after the owner’s death without informing the beneficiary of their options (this happens a lot!). If the account owner was under the age of 70 ½ years and had not begun taking Required Minimum Distributions, the beneficiary must withdraw all the funds within five years of the owner’s death. Again, these distributions must be reported as ordinary income to the beneficiary, which very well could bump them into a higher tax bracket. If the account owner was 70 ½ years of age or older and had begun taking Required Minimum Distributions (RMD) before the owner’s death, then the beneficiary may opt to continue receiving the distributions on the same RMD schedule that the deceased owner would have used. Depending upon the age of the owner at time of death, this option may be slightly better or slightly worse than the default 5-year rule outlined above, but generally, the result will be pretty similar. Regardless of the original account owner's age, your child or beneficiary can use a “rollover.” There are two types of rollovers: a spousal rollover and a non-spousal rollover. For a surviving spouse, the spousal rollover is often the best option. As the name implies, a spousal rollover is only available to the surviving spouse of the original account owner and is a well-known tool among financial professionals. With the spousal rollover, the surviving spouse can rollover the account to their own name and treat the account as their own. If the surviving spouse is under the age of 70 ½, the surviving spouse can make additional contributions to the account and also defer distributions from the account until age 70 ½ —the age Required Minimum Distributions begin. Often--strictly from a tax savings perspective--the spousal rollover will be the most tax efficient. However, in some instances, such as in a blended family or when there is a larger age difference between spouse's, the spousal rollover may not be the best overall option when considering other asset protection considerations. The non-spousal rollover is not nearly as well understood among financial, tax, or legal professionals. Over a decade ago, Congress passed the Pension Protection Act of 2006. Similar to many bills coming out of Congress, this bill addressed pension plans, however; there were a handful of other topics included, one of which pertained to the non-spousal rollover option. The non-spousal rollover rules are much more specific. Your child or beneficiary cannot just treat the account as their own. Nor can they make additional contributions to it. Instead, the IRA must be rolled over into a new account, called an “Inherited IRA.” Please note that even if the original plan was a 401(k) or another type of retirement plan, once it is rolled over, it will still be considered an Inherited IRA. Unlike a spousal rollover, with an Inherited IRA, the child or beneficiary cannot add additional funds to the account or defer distributions until age 70 ½. Instead, the beneficiary must take Required Minimum Distributions each year, beginning the year after the death of the original account owner. The amount of the Required Minimum Distribution is based upon the life expectancy of the beneficiary. Therefore, the younger the beneficiary is, the smaller the required distribution will be. And, the lower the required minimum distribution—the more the asset can continue to grow tax-deferred inside the Inherited IRA. This option is often referred to as the “stretchout” option because it allows the beneficiary to stretch out the Inherited IRA over their lifetime, so they can continue to enjoy tax-deferred growth on the account, rather than having to liquidate the account within five years or less. As you can see, the age of the beneficiary can have a significant impact on the lifetime value of the Inherited IRA. As part of the estate planning process, you may wish to consider allocating all or a portion of your retirement accounts directly to your grandchildren if you have other assets or life insurance to leave to your children. Is Your IRA Or Retirement Plan At Risk To These 7 "Wealth Wasters"? Should I Name My Estate Or Living Trust As The Beneficiary Of My IRA Or Retirement Plan? What Is A Stretchout Protection Trust? How Does A Stetchout Protection Trust Work? Who Controls A Stretchout Protection Trust? Who pays the taxes on the Required Minimum Distributions? Is there a cost to maintain a Stretchout Protection Trust? Why a Stretchout Protection Trust is preferred to a "Restricted Beneficiary Payout" Annuity or "Trusteed IRA"? Naming younger beneficiaries as beneficiaries. 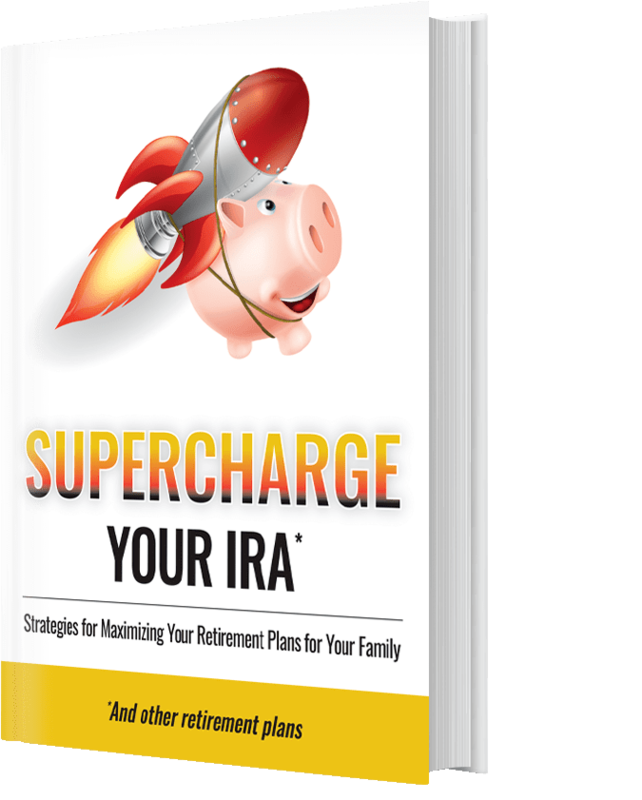 Don't miss out on this vital information for protecting and maximizing your IRAs, 401(k)s, and other retirement plans, request your copy here.